Another? Whens the last time that happened since G1? he means, in term of show model vs toy model, i think. 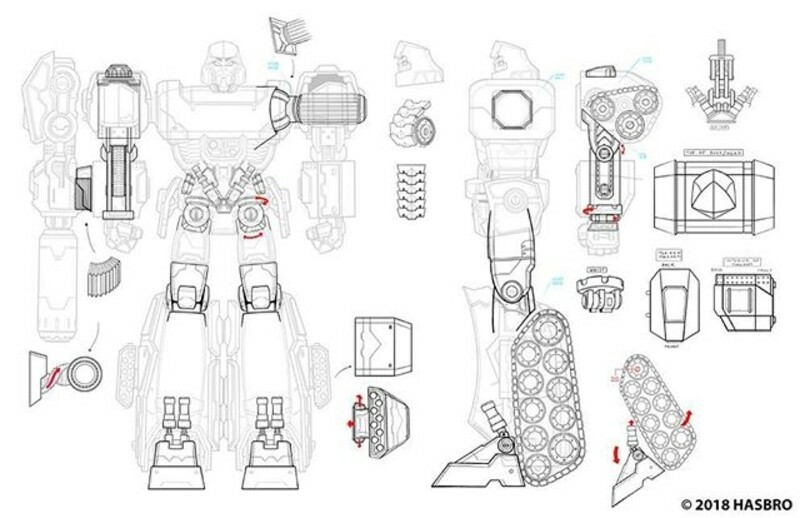 In what is not a reveal of anything upcoming, but could easily work in a new War for Cybertron line, at least in potential (but I'll repeat, it is not), or an early version of what we received in the Cyberverse toyline, the official Hasbro Transformers and Pulse social media accounts have posted an image of a conceptual design of a new Megatron figure in robot mode, working out its pretend engineering, or 'pretengineering', to understand which parts of the figure/character are moveable, its structure, functions, movements, and shifts - as they the say, the 'dynamic functionality of the robot'. Take a look at the image below, and join the discussion in the Energon Pub! Again, this is not an upcoming Megatron figure - but would you like to see something like it in any of the current (if this is not the Cyberverse figure) or future lines? MEGATRON PRETENGINEERING. 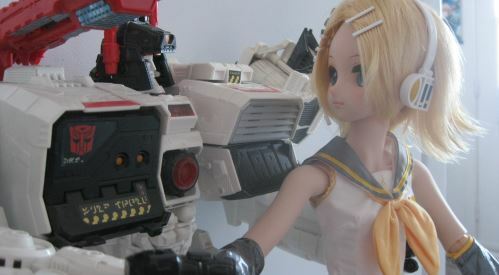 Pretengineering is pretend engineering created to explain the dynamic functionality of each Transformers robot. Now this is the kind of thing I like seeing, and a nice design of megs to boot. Oh, no most definitely "not a real toy" . Wait yes it is . 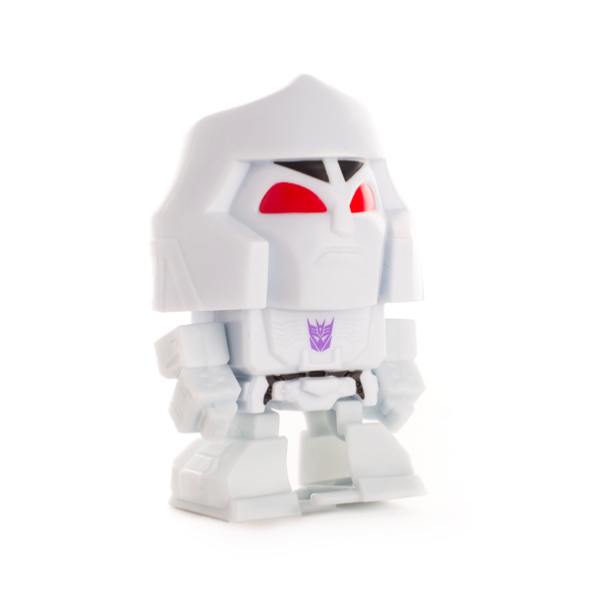 Transformers Cyberverse ultimate class Megatron! Pretengineering should be the term used for figuring out how to bring full-sized, full-featured Pretenders into Generations. Emerje wrote: Pretengineering should be the term used for figuring out how to bring full-sized, full-featured Pretenders into Generations. As if Hasbro would ever bring back Pretenders as normal-sized figures! You guys are all dreaming! ...and then watch this post be proven horribly wrong down the line. 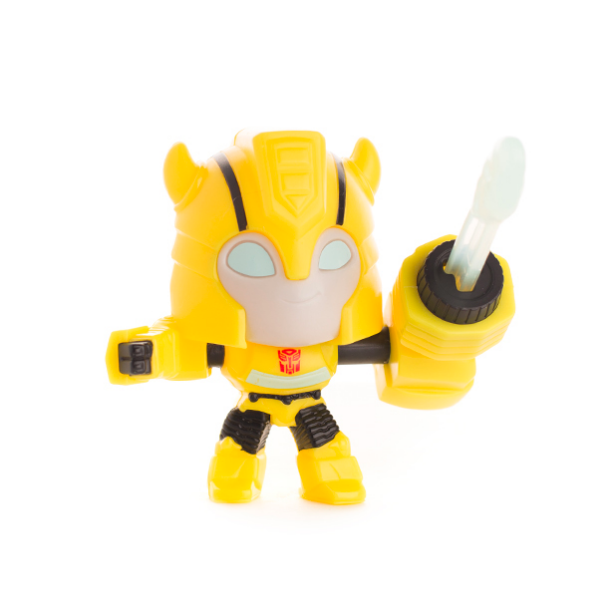 Not really part of the upcoming toyline for the animated show Transformers: Cyberverse, we do however have some information on the McDonald's Russia promotion of the superdeformed figures that will accompany their menu during the May-June period! The various figures showing up include the generally known players in the Transformers stable, with the new show's designs (using the Evergreen concepts) Bumblebee, Optimus Prime, Windblade, Megatron, Starscream, Shockwave, and Grimlock. You can check them all out below, with some machine translation of the features, and the promotional clip uploaded to YouTube! Bumblebee with rocket launcher: Autobot-scout loyal to Optimus Prime. Insert the projectile into the rocket launcher, press the red button and hit any target! Windblade with rotating turbines: Autobot warrior. 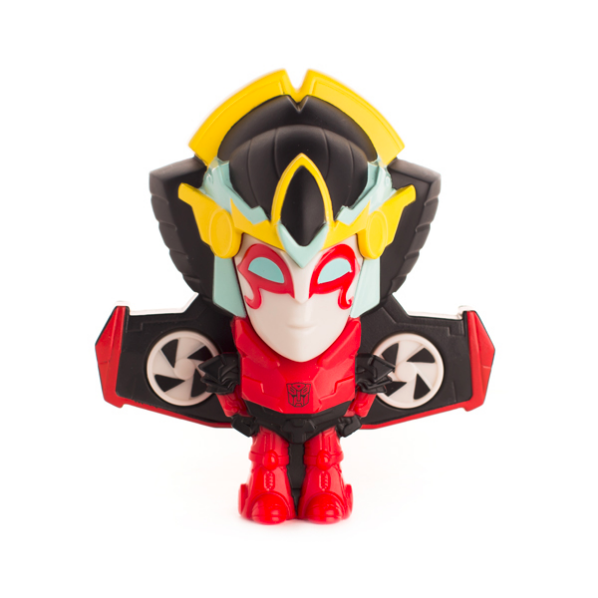 Click on the red button on the back of Windblade and start rotating turbines that allow her to fly. Walking Megatron: Leader of Decepticons. 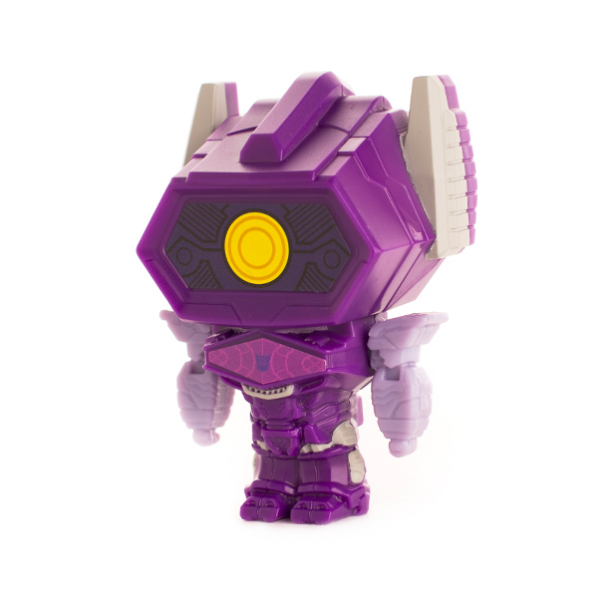 Wind-up the mechanism built into the Megatron helmet and attack any opponent. 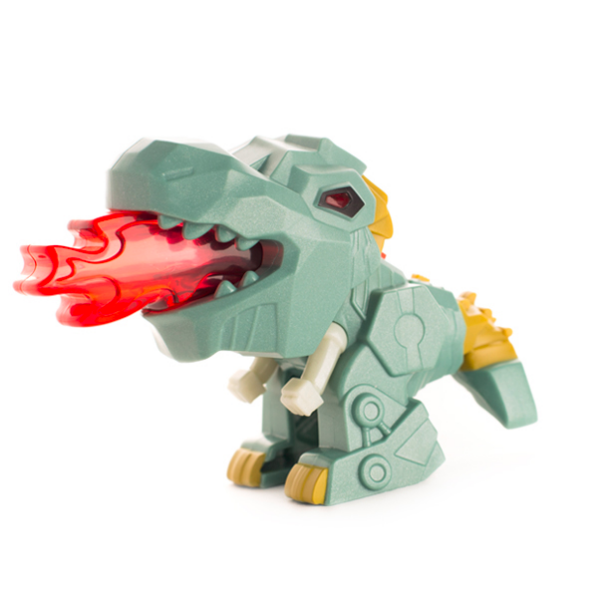 Grimlock with burning fire: Dinobot-Autobot is a friend of Bumblebee. Click on the red button in the shape of the Autobot logo and activate the fire flame of Grimlock. Optimus Prime with a sword: Leader of the Autobots. 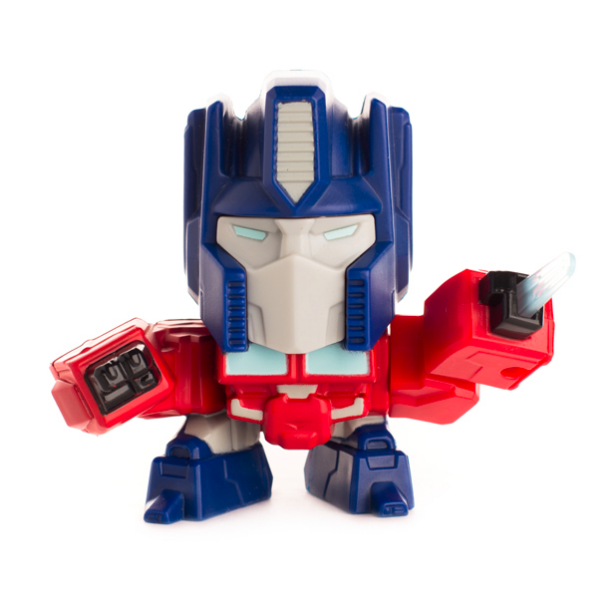 Attack enemies by clicking on the blue button on the back of Optimus. Bumblebee Racer: Autobot scout. 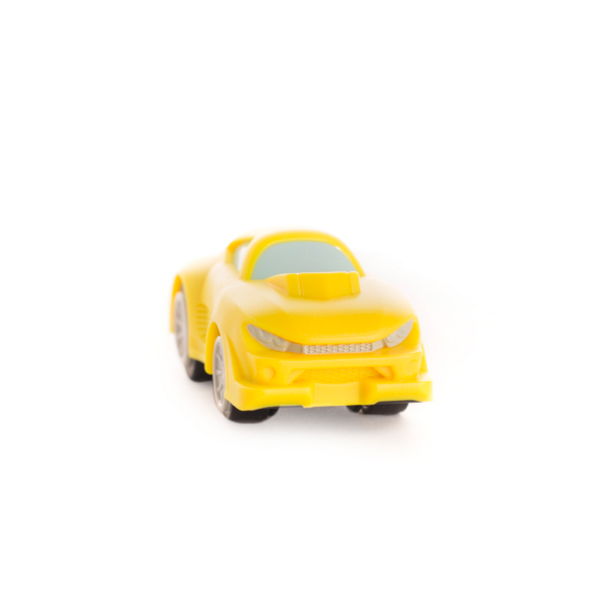 In his mode, Bumblebee transforms into a racing car. Pull back the car and let go. Starscream fighting aircraft: Decepticon faithful to Megatron. 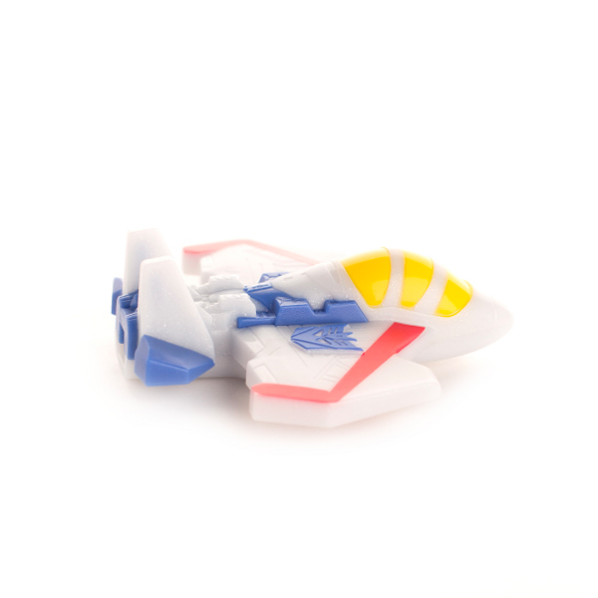 Click on the launch button and you will see Starscream attacking the enemies. Shockwave with rockets: Decepticon scientist and subordinate of Megatron. When the missile system is guided to the enemy, the flight mode is activated. Maybe if this was Energon, but it ain't. Those are indeed ADOWABLE. Plus, there's fun widdle gimmicks too! Man, I'd be all over them if they came out at my local McDonald's. 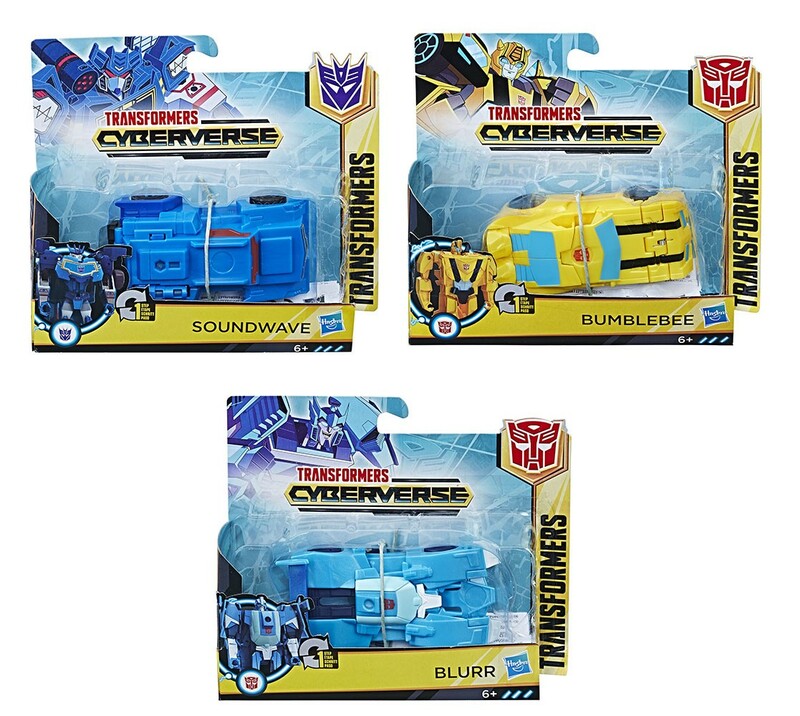 In more news today about Transformers: Cyberverse - the upcoming animated show from Hasbro and Boulder Meida - and its toyline, we have an image of its first wave of One Step Changers courtesy of Canadian site Kid Toy and a tip from fellow Seibertronian westjames/notirish. Priced at 15.99 CAD each, the three figures shown are representations of Soundwave, Bumblebee, and Blurr, with some nice new art in the style of the show we are coming to see more and more of - but the toys themselves are simple redecos of the Robots in Disguise figures of the same characters, in the same One Step Changers category. Check out the image below to see for yourselves! Last edited by Ig89ninja on Sun May 27, 2018 11:39 am, edited 1 time in total. I thought it was 15.99 for the whole set. Boy, those figures look cheap. That much each? Nah. Not gonna happen. I will say that they don't look that bad. I mean they have detail and they are probably a lot of fun to play with the one step feature. Great for kids even. But not for the same cost as a deluxe. 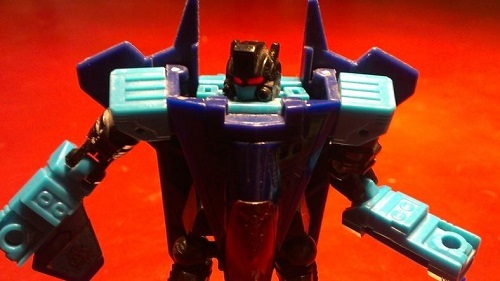 For a comparison here is a video review of the RID one step Soundwave. Just so that everyone is aware of what a one step changer is like. It legitimately looks like a fun toy but just not at that price point. According to google the current exchange rate means that figure would be in the ballpark of 12.99 USD and that is still too much. I think it is only worth maybe 7 or 8 bucks for what it is. It's something to fiddle with, not something I am going to spend hours posing and transforming. Ok, this is starting to be typical: the first wave is all redecos like TLK Legion Wave 1. Not missing much there. Motto: "Why do I even bother?" I'm no business expert, but that has to be a stupid strategy, at least wait some waves before repeating toys! For God's sake, Walmart STILL has W1 Grimlocks and they are going for less than 4 bucks! Location: Mexico, the land of awful toy distribution. Should you mean RiD redecos? MaverickPrime wrote: For God's sake, Walmart STILL has W1 Grimlocks and they are going for less than 4 bucks! You mean the Voyager right? If thats the case then oh man, I would love to find that at my local walmart, would totally pick it up at that price. Exactly, we only got wave one of everything except for the voyagers out of that line because sales were abysmal, not to mention the fact that our local coin got heavily devaluated related to the USD meant that we went from 280MXN for deluxes and 500MXN for voyagers to 450MXN and 700MXN respectively didn't help at all, most product didn't move until the heavy discounts began, and like I said, some stores still are full of that. 4,472 pages were recently viewed by 687 unique visitors. This page was viewed 1 times on Wednesday, April 24th 2019 8:59am CDT. © 2019 Seibertron, Inc. DBA Seibertron.com. All Rights Reserved. Established June 2000. Seibertron.com is owned by Ryan Yzquierdo.